KoopaTV: What Do We Know About Super Mario Odyssey's Tiara? What Do We Know About Super Mario Odyssey's Tiara? By LUDWIG VON KOOPA - Plus an inquiry into Mario's beach attire, or lack thereof. First of all, Mario capturing Yoshiaki Koizumi is still terrifying. Second, I want to dive deeper into Tiara. We didn't know about Tiara. Cappy, yes. Tiara? No. Compare to the wedding posters from eight months ago, which only had two sets of eyes on them instead of three. We don't know anything else about Tiara. We know that her and Cappy are from the city of Bonneton located in the Cap Kingdom, and that is full of terrifying caps just like Cappy. Is Cappy's capturing ability exclusive to him, or do all Cap Kingdom residents have that ability? It's an important question, because certainly not all humans have Mario's abilities. If they did, the universe would be in graver peril than it currently is. That said, the actions of just one cap are enough to threaten the entire planet Earth, so a whole race of these monstrosities wouldn't end well. 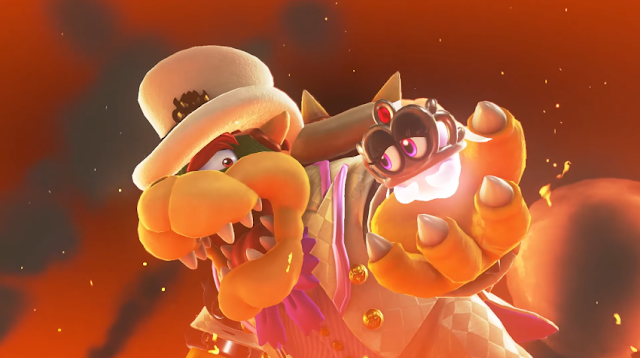 King Bowser is doing well to round them up for their extermination. ...And if that ISN'T his end goal, then, hey, it'll be mine. Is it just me, or is Tiara not securely abducted? In Super Mario Odyssey, when Mario happens to just pass through the Seaside Kingdom, he takes all of his clothes off (besides trunks and his hat) and runs around. In Super Mario Sunshine when Mario was on a dedicated tropical paradise beach vacation that was planned in advance, he spent his entire stay at Isle Delfino in normal attire, with the exception of having a short-sleeved shirt. He's got a shirt. He's got overalls. He's got pants. He still has gloves (a wise choice, due to how gross the isle became because of Mario's goopy pollution). Why would Mario be in work clothes during a vacation, but have no clothes when he's supposed to be doing the “work” of crashing a wedding party? That's what I want to know. But instead everyone at these other websites and social media are apparently worried about some tattoo they think Mario has on his shoulder. (If you don't know what I'm talking about, then good. It's immaterial.) Come on, people. Get your priorities straight. ...They also think that Mario's skin is handsome or something, which is gross. Ludwig needed to actually write and publish this article within the month of September, or else the header would make no sense, though he could easily just change it. This doesn't qualify as an Enlightenment Movement article since it asks more questions than there are answers, so there isn't really a narrative being pushed. Mario's fashion choices isn't evidence of his evilness, after all. However, there is evidence of something else: Ludwig believes the attention towards Mario's uncovered upper body to be evidence of society's total depravity. There is a lot we don't know about these caps, so hopefully buying Super Mario Odyssey sheds light on it. 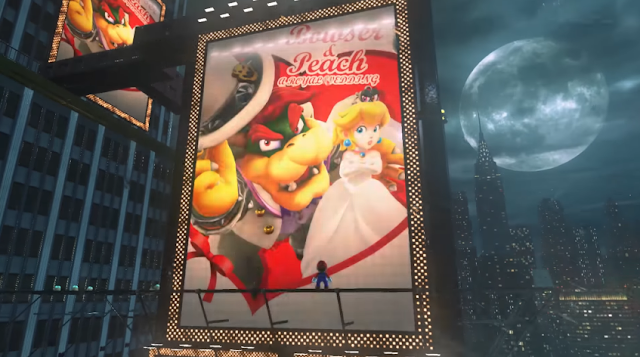 Cappy is naturally attracted to royal weddings. The real question is why does Mario need a vacation when he hardly does any work in the first place. When was the last time he fixed any pipes in the Mushroom Kingdom anyway? ...Pretty recently. We did just publish an article on this this month. It's probably going to be in our top 5 articles for the September newsletter, since Enlightenment Movement articles tend to get there.